Read about all our latest developments here. Would you like to stay up to date, please subscribe to our newsletter here. Our partner Keling Kumang is a credit Union serving more than 150.000 members in West Kalimantan. During their annual meeting Ivy was presented as their new partner. We are happy and excited to work together to give all their members access to our life-changing technologies. 10 social business were invited to pitch at the opening of the annual ABN AMRO tennis tournament in Ahoy Rotterdam and Ivy was one of them. More than 400 potential investors in the room, 5 minutes pitch time and 5 minutes Q&A's. 10 minutes to tell everyone about Ivy's why, how and what. And with success... Ivy was the winner of the second best pitch in the house. Thanks everyone for your great feedback. It still gives us energy and a smile everytime we share our story. Training Ivy Representatives on Java about how renewable natural resources can be used to serve the basic needs in their communities. Heavy rains have started again in Indonesia. Floodings make it increasingly difficult to reach our clients in remote rural areas. 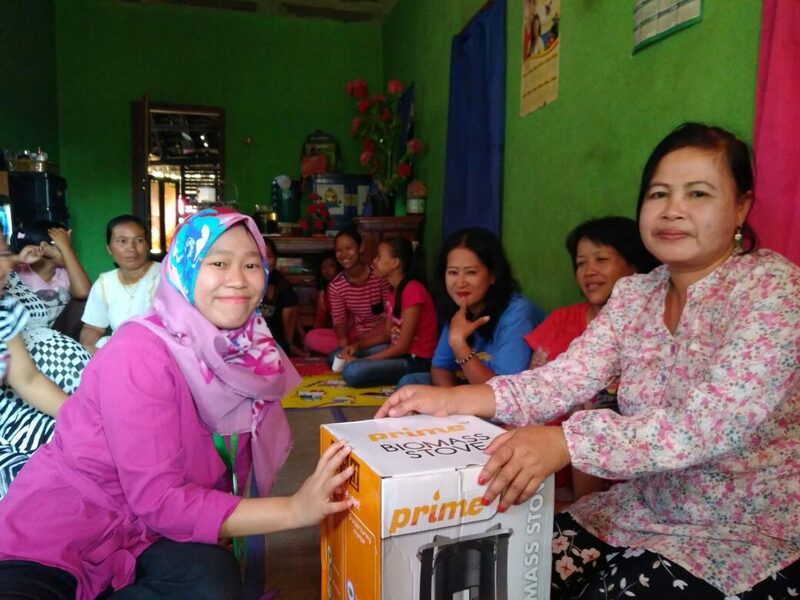 Deasy and Fitri, our West-Java team, are on the road to train clients in Tangerang. Tom Raster, a student of the University of Groningen, is in the Moluccas for two months to start the preparations for the a research on the different islands in Easter Indonesia. He has gathered a team of University Pattimura to explore the market on Seram. Great Work Tom! B Corp was officially launched in Europe and Ivy is part of the European founding class. B Corp certified companies believe that the power of business can be used to solve social and environmental problems. We believe that taking part in this movement is essential for Ivy’s differentiation, reputation and network. With one of the highest B Corps scores with 128 out of 200 points, we endorse our social mission. We were inspired by all the B talks, workshops, and presentations from the other B Corps and hope that many more companies will join this movement. We are proud to present you to Safriansyah, our Ivy Representative of the month. He gave 105 families in Bulungan, North Kalimantan, acces to safe and affordable drinking water and light. Keep up the good work!